The leader of the Islamic Movement of Nigeria, a group propagating the spread of Shi’te Islam in Nigeria, Ibrahim El- Zakzaky, has been arrested by Nigerian troops, following a siege on his Zaria residence. 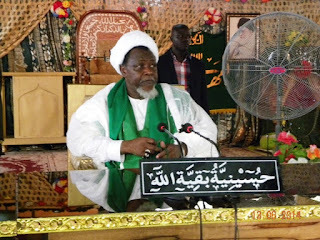 A second-in-command of the movement, Muhammadu Turi, and the head of the medical team of the sect, Mustapha Saidu, and several others were killed during the siege. The Nigerian Army and members of the sect have accused each other of instigating attacks that led to the death of members of the movement on Saturday. While the Army accused the Shiite followers of attempting to assassinate Nigeria’s Chief of Army Staff, Tukur Buratai, the Islamic movement said soldiers simply decided to attack “defenseless people”. It was gathered that the Nigerian troops sustained a crackdown on the members of the sect throughout the night as heavy shootings and sounds of explosions were heard in Gellesu and Sokoto Road, where Hussainiyya – the spiritual centre of the sect – is located. Residents of the area said they saw armoured tanks demolishing the Hussainiyya shrine and the residence of the leader of the sect. A source at the military hospital in Chindit Barracks Depot of the Nigerian Army, Zaria, confirmed that they received 19 bodies of people killed in the encounter.